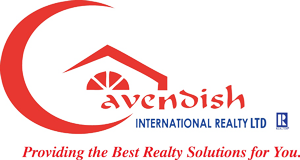 At Cavendish International Realty, we embrace change. A part of our core value is constantly challenging tradition because we have a strong desire to improve the way our industry operates. We are conditioned to do business differently so that you receive maximum satisfaction every time you do business with us. We pride ourselves on getting you the best possible price, whilst completing your real-estate transactions in the shortest possible time and in a hassle-free manner. You never have to worry when you place your home in our hands as we go above and beyond to provide the best realty solutions for you. We endeavour to strike the balance between your resources and our personal touch of experience, a professional and sharp eye for valuable real-estate properties so that you enjoy the best possible experience. Through providing such efficient and professional service to our customers, we have been privileged to share in the joy of witnessing thousands of people convert their visions to reality. Our efficient Lettings & Property Management team can assist both new landlords as well as experienced landlords with extensive portfolios. Our primary area of focus is the Rentals for "Relocation of Diplomats/Expats' and other Executives, to ensure a hassle free transition to their new environment. We are committed to finding the ideal accommodation to suit each client's individual needs. We have a very experienced and savvy in-house mortgage advisor, who is available to assess and arrange your financial requirements in buying a property in Jamaica. To provide unmatched Real Estate services to both residential and commercial clients that go beyond their expectation through: exemplary leadership, strong team work, solid integrity, extensive knowledge and a crystal-clear vision on the best real estate transaction for our customers; while continually expanding and improving our expertise to maintain or competitive edge that meets both local and International standards In the Real Estate Industry.